Few Bronx businesses can say they’ve been serving the people of New York for over a century, but among the names you’ll find on that short list is Teitel Brothers, a gourmet grocery known for its impeccable service, fair prices and shelves stocked with fine, imported Italian products — not to mention the best Italian sausage in all of New York. Situated in the heart of the Bronx’s Little Italy, at the corner of Arthur Avenue and East 186th Street, the family owned business was opened in 1915 by Austrian immigrants Jacob and Morris Teitel, after the brothers moved from the Lower East Side to the neighborhood that was, and always has been, home to many of New York finest Italian merchants. 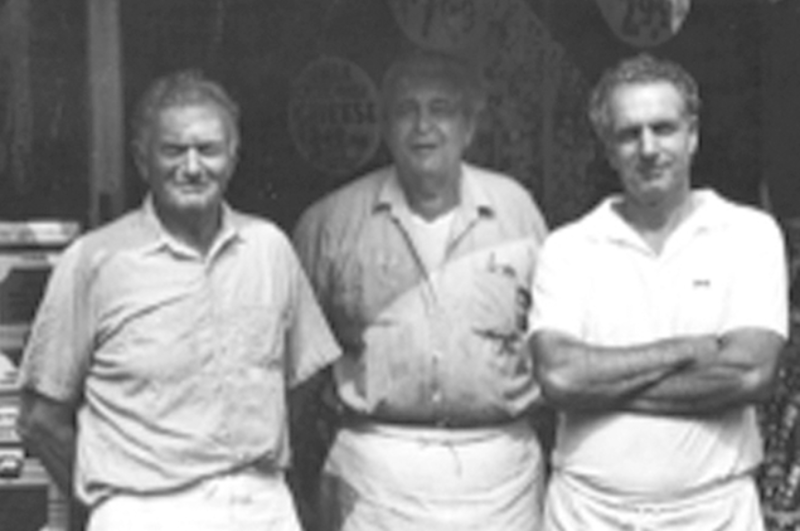 Today Jacob’s son Gil and Gil’s sons Jean, Michael, and Eddie, the third generation of the Teitel family, run Teitel Brothers. “We lived upstairs in the first apartment,” Gil Teitel recently told the website the Jewish Forward while reminiscing. “There’s a steam pipe by the door. When my father got busy, he used to knock on the steam pipe and my mother used to come down and give change or wait on customers.” Today they’re no longer knocking on steam pipes when things get busy — but Teitel Brothers still getS plenty busy, and serving customers is still a family affair. “If you come here any given day, whether it’s six in the morning or six at night, there’s always one of us here,” Eddie Teitel told the Forward. 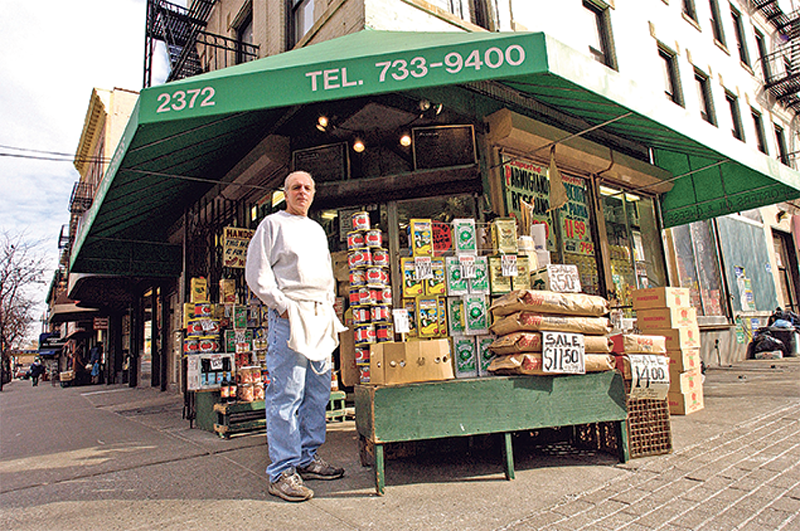 At 44, Eddie is the youngest of the third generation of the Teitel family to run the store. And just like his grandfather, he comfortably converses in Italian with customers. Much of the world around the 900-square-foot store has changed in the century since Teitel Brothers opened, but the store has stayed pretty much the same. The sidewalk outside still overflows with Italian cooking essentials — bags of flour and cornmeal, gallon jugs of olive oil, commissary-sized cans of tomatoes. And while the bulk sizes would be more than enough to help feed a big Italian family, they are typically scooped up by Teitel Brothers’ wholesale business, serving restaurants throughout the greater metropolitan area. Inside the store, practically every surface is covered with gourmet Italian products — baccalà, garlic, dried fruit, olive oil, racks of pasta, Slavic cookies, boxes of Panettone, fresh meats and cheeses, cut, sliced, shredded and grated to order. 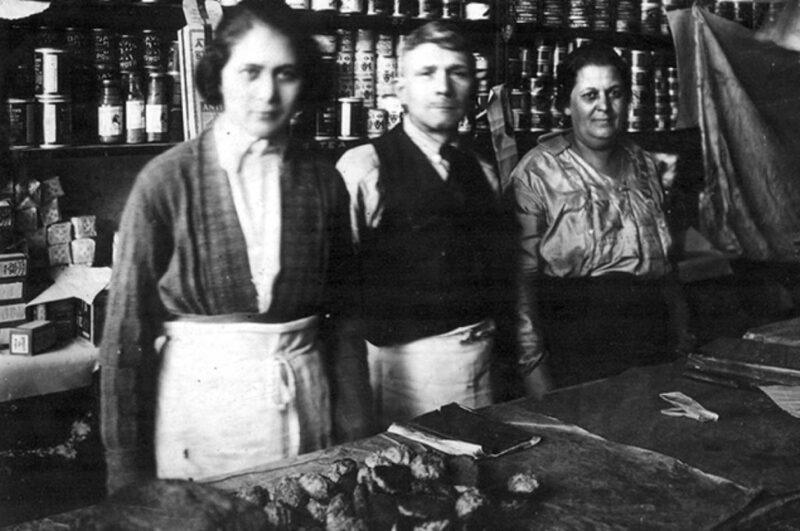 In short, the types of Italian provisions that have made life-long, loyal customers out of generational clientele from the Bronx and across the city. Customers pour into Teitel Brothers throughout the year, except on Jewish holidays, which Gil holds sacred. On Rosh Hashana and Yom Kippur, Teitel Brothers is closed. “It’s a very special family tradition,” he explains. “We celebrate Pessah and the High Holy Days together, and that’s the way it’s been for 101 years.” At the entrance of Teitel Brothers is an emblem that welcomes customers — a tile design of the Star of David, cemented into place in the ‘30s, acknowledging what was occurring in Europe at the time. But don’t blame customers if they don’t notice the emblem, they’re more intent on getting inside and taking home the 100 different shapes of pasta, Tonno Trancio canned tomatoes, jars of Lupini Beans, wheels of sheep’s milk cheese from Rome, aromatic jars of Sicilian sea salt with blood oranges, Amaretto di Saronno Cookies, and super-fine wheat flour. Or the Don Luigi Sicilian Olive Oil, which got a thumbs-up from the New York Times. And the faces of those customers have started to change, says Gil, as the traditional Italian neighborhood has transformed over the past 100 years. “The neighborhood is changing for the better,” Gil told the Jewish Forward. “This year, I’ve seen more new faces than I’ve ever seen before. A lot of people are coming from the suburbs. There are a lot of young people from Manhattan, and they’re coming to see the whole experience.” The transformation is allowing a whole new generation of New Yorkers to discover what’s kept Teitel Brothers serving the Bronx and New York since 1915.